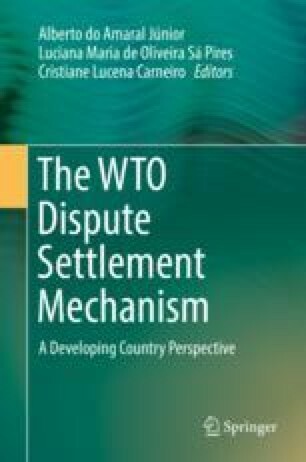 If a WTO case could be chosen to prove how trade patterns can be shifted as a result of a dispute settlement decision, that case would be DS 266 European Communities – Export Subsidies on Sugar. Before the dispute, the EC was the world’s largest sugar exporter, even with extremely high production costs. Brazil, Australia, and Thailand were more competitive sugar producers, but their sugar exports were unfairly displaced in third markets by cheap-subsidized EU sugar. The international trade of sugar used to be one of the most protected in the world. Brazil, a low-cost producer and competitive exporter of agricultural goods, faced multiple tariff and nontariff barriers to export the commodity, especially, from the European Union. The EU built its sugar subsidies regime in the late 1960s, combining several tools to support the production and export of sugar, such as high tariffs, a price support system, and export subsidies. To try to erode this protectionist framework, the Brazilian government and the sugar industry decided to take the issue to the dispute settlement mechanism of the Word Trade Organization (WTO). The outcome of this WTO dispute made international sugar trade more equitable and based on competitive advantage. Along with the cotton case, the results of the sugar dispute also advanced Brazil’s leadership at the WTO Doha Round negotiations, especially regarding agricultural subsidies. By revamping the agricultural subsidy policies of the two major superpowers through a legal—and legitimate—tool, Brazil also gained support from NGOs and the general public, drawing attention to the importance of nonsubsidized agricultural trade to promote the well-being of farmers, rural cities, and workers in developing countries. Although it could be argued that the Doha Round is now dead, the Nairobi decision to prohibit export subsidies of agricultural products could be also traced back to the sugar dispute learning curve experience. Unlike the cotton litigation, which lasted longer, the dispute over the European sugar subsidies is a salutary example of rapid use of the multilateral dispute settlement system with effective implementation of the recommendations. Today, the EC imports an average of 3.25 million tons of sugar per year, and the complainant countries had significantly increased their world exports in both volume and value. In addition to building a strong legal case, the team of diplomats, lawyers, and private sector representatives involved in the construction of the dispute also had to work on a strong enlightenment campaign with the media, civil society (NGOs), and representatives of African, Caribbean and Pacific (ACP) countries, with preferential access to the European market. It was a victory won inside and outside the WTO DSB with a strong partnership between the government and the private sector. The views and opinions expressed in this article are those of the author and do not necessarily reflect the views and opinions of CAMEX or the Brazilian Foreign Affairs Ministry.